Idaho Gov. C.L. "Butch" Otter delivers his State of the State address to a joint session of the Idaho Legislature in the House chambers at the state Capitol building, Monday, Jan. 9, 2017, in Boise, Idaho. Idaho lawmakers convene each year in January. Tuesday’s election brought six upsets in Idaho legislative races, with one more possible in a Boise race in which the incumbent senator won by just six votes. The net result, assuming that outcome stands, is a gain for the Democrats in the heavily-Republican Idaho Legislature, with a pickup of one seat in the Senate and three in the House. The incumbents who lost included five Republicans and one Democrat, Rep. Margie Gannon of St. Maries in District 5. Gannon lost narrowly to Republican Bill Goesling, a retired financial consultant, military veteran and former state Board of Education member, 49 percent to 51 percent. That was former Rep. Paulette Jordan’s seat, and for the past two years, it’s been the only seat in the Legislature from north of Riggins held by a Democrat. Now that distinction will go to new Sen. David Nelson, D-Moscow. 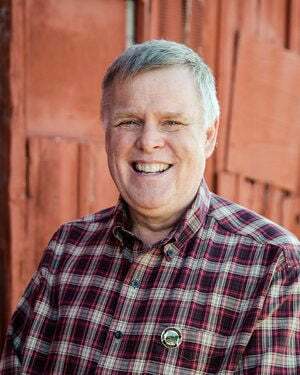 He defeated outspoken conservative Sen. Dan Foreman, R-Moscow, in District 5, which includes Benewah and Latah counties, home of the University of Idaho’s main campus in Moscow. Jordan resigned from the House seat in February to run for governor. The House GOP incumbents who lost were Reps. Steve Miller, R-Fairfield, who lost to Democratic challenger Muffy Davis, a Paralympic repeat gold medalist in both skiing and cycling, 44 percent to 56 percent in District 26; Dustin Manwaring, R-Pocatello, who lost to Democratic challenger Chris Abernathy, 49-51 in District 29; Lynn Luker, R-Boise, the House Judiciary chairman who lost to third-time Democratic challenger Steve Berch, 45.5 to 54.5 in District 15; and also in the same district, Rep. Patrick McDonald, R-Boise, who lost to Democratic challenger Jake Ellis, 49 percent to 51 percent. The changes mean Democrats will move up from 11 members in the 70-member House to 14; and from six members in the 35-member Senate to seven. Committee assignments in the Legislature are allocated proportionally to the majority and minority parties. Also in Tuesday’s election, longtime eastern Idaho Rep. Tom Loertscher, R-Iona, fell short in his write-in bid to keep his seat against GOP nominee Chad Christensen, who defeated him in the primary. 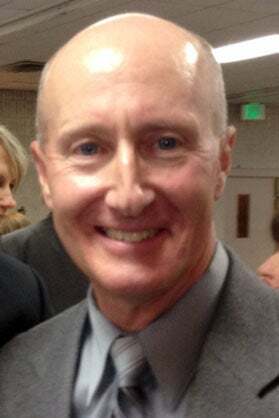 Christensen got 80.7 percent of the vote to Loertscher’s 16.5 percent, with another write-in candidate, Ralph Mossman, drawing 2.8 percent, according to final, unofficial results. The Idaho Legislature will convene for a brief organizational session the first week of December, which includes committee assignments and leadership elections; the 2019 legislative session starts in January. Betsy Z. Russell is the Boise bureau chief and state capitol reporter for the Idaho Press and Adams Publishing Group. Follow her on Twitter at @BetsyZRussell.